Whitebait fishing on the Okari River and Lagoon. Spotter boards help to see whitebait fish swimming before netting. 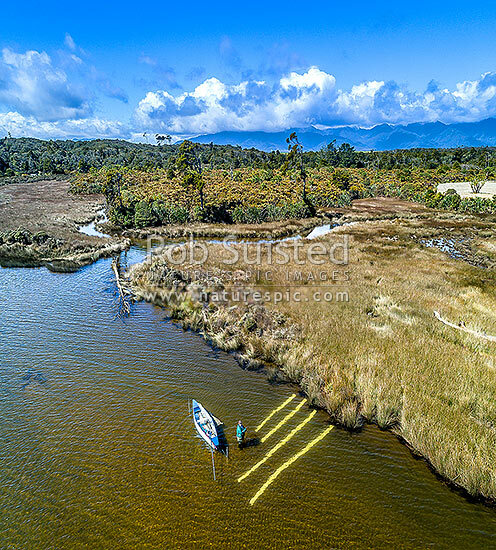 Aerial view, square format, Charleston, Buller District, West Coast Region, New Zealand (NZ), stock photo.